Fight fans will be able to tune in free-to-air on BoxNation this Friday night at 7.45pm to watch the heated ‘Face-to-Face’ premiere between IBF world champion Lee Selby and undefeated Leeds favourite Josh Warrington. 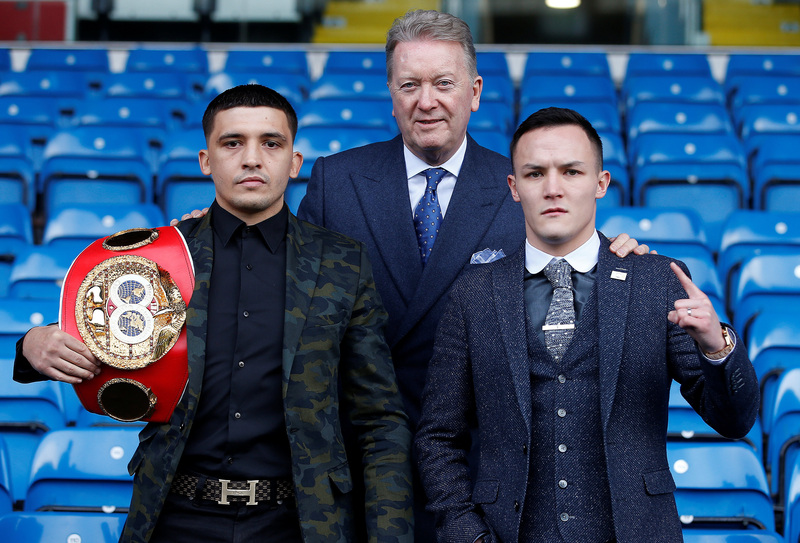 The pair will clash in a much anticipated featherweight contest from Leeds United’s famous Elland Road on May 19th and have already lit the blue touch paper as they sat down with BoxNation commentator John Rawling to analyse their sizzling summer showdown. Airing free on BoxNation, Sky Channel 437, viewers will be able to get a unique glimpse ahead of the contest as both men looked to gain the upper hand as they exchanged verbal blows. Sitting across the table from one another it was clear there was no love lost between the duo, with neither willing to lose an inch before their epic 126-pound matchup. “If I got up now and chinned you, you would be sleeping, trust me,” Selby tells Warrington at one point before Rawling interjects and asks him not to do that. “If you would have stepped in with Oscar Valdez, Leo Santa Cruz, Carl Frampton they all beat you and I beat you,” Warrington says. “I would beat any of the fighters you’ve faced and I wouldn’t be put on my backside,” Warrington adds. “You sure?” Selby quips. “I’m 100% positive,” Warrington responds. Selby has held his IBF world title since 2015 when he captured it in dazzling fashion against Evgeny Gradovich, winning an eight-round technical decision. He has since enjoyed five successful defences with his latest coming against Mexican Eduardo Ramirez last December at the Copper Box Arena. The Welshman will be looking to continue that impressive form as he enters the lion’s den when he faces Warrington, who has an unblemished record of 26 fights undefeated, in his home city. It will be the first time that Elland Road has staged a world title boxing fight and the event is set to be one of the biggest sporting occasions in Yorkshire this summer. ‘Face-to-Face’ Selby v Warrington will be aired free-to-air this Friday at 7.45pm on Sky Channel 437.